Via the always excellent Nag on the Lake with a bit of an update from Colossal, we learn about a loyal but frustrated rail commuter who, much like Andean quipu or the zealous knitter who got carried away with the Doctor’s scarf, documented delays experienced in coloured wool bands during her daily trip (two a day—round-trip, hin- und züruck) between Moosburg an der Isar and München, which should take approximately thirty minutes on regional trains—once infrastructure repairs and diverting to buses meant that long interruptions became the norm. Her one hundred-twenty centimetre long handiwork (reminiscent of a DNA test result in the rawest form) garnered a lot of attention after her daughter, a prominent journalist and news editor, posted it on social media. 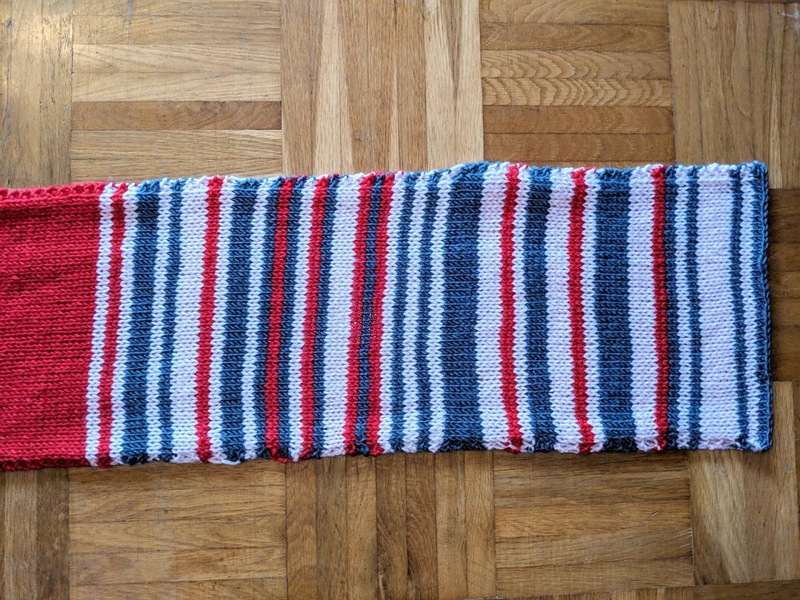 The knitter decided the auction off the “train-delay-scarf” for the charity Bahnhofs Mission, an outreach and assistance programme for the homeless, transient and precarious based in train stations, raising several thousand euro. 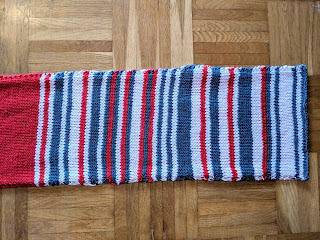 Claudia Weber, the creator, is working on a new shawl for 2019.